Swamp Thing has officially found its Swamp Thing… the man and the monster. 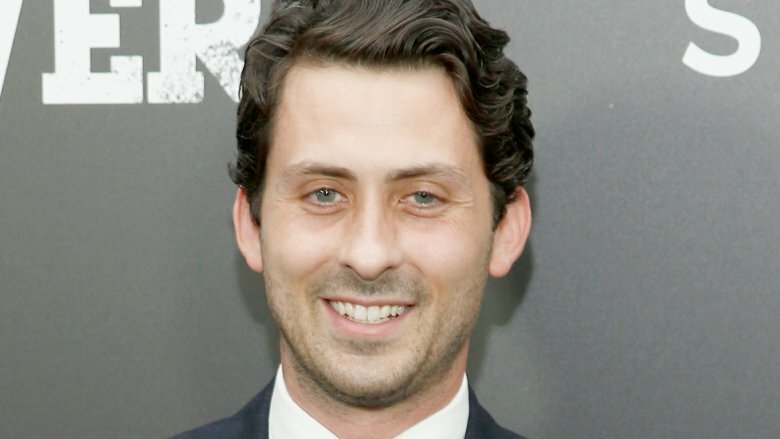 The forthcoming DC Universe streaming series has cast Andy Bean (Transformers: The Last Knight) in the role of Alec Holland, the scientist whose work leads to his transformation into the titular creature. In addition, Derek Mears (who portrayed Jason Voorhees in 2009's Friday the 13th reboot) is also on board as Holland, post-transformation. The casting announcement (via Deadline) was not unexpected. Just yesterday, we reported that Will Patton had been cast in a major supporting role as business magnate and antagonist Avery Sunderland. Only a few days prior, reports surfaced that horror vet Virginia Madsen was taking on the role of Sunderland's long-suffering wife, Maria. Bean is riding a serious hot streak. He recently gained attention with his recurring role on the HBO drama Here and Now (which, unfortunately, was canceled after just one season). This led to his casting in what is sure to be one of the biggest hits of 2019: It: Chapter Two, in which he portrays the adult version of the Losers' Club's resident nerd, Stan Uris. As for Mears, he's been all over the small screen since his turn as everybody's favorite hockey-masked slasher. In just the last year, he's been featured in supporting turns on The Orville, Marvel's Agents of S.H.I.E.L.D., and The Flash. An accomplished stuntman as well as an actor, Mears typically appears under layers and layers of heavy makeup and prosthetics — which means his new gig as Swamp Thing's vegetation-based beast should be no sweat. The series' plot will focus on Abby Arcane (Teen Wolf actress Crystal Reed), an investigator digging into mysterious goings-on connected to the swamps and marshes of a small Louisiana town. Bean's Holland is a scientist whose potentially life-prolonging work is also connected to the swamps, bringing him into contact with mystical forces and leading to his transformation into the monstrous hero. Mears, who has been extraordinarily effective in the past at conveying human emotion from under all those layers of makeup, will be tasked with portraying Holland's struggle to hold onto his humanity in the wake of his transformation. With its co-leads now on board, Swamp Thing is poised to ramp up its production in earnest. DC Universe already has a huge potential hit on its hands with Titans, the Robin-led series which has gotten a warm reception from fans. With Doom Patrol and Stargirl also on the way, the streaming service appears to be serious about building its stable of unique original content. Fans have been anxious for Alec Holland and his alter-ego to get a serious dramatic treatment ever since Wes Craven's 1982 theatrical camp-fest and its 1989 sequel, and they won't have to wait much longer.